Brady Watt’s great run of form continues with the Keperra Bowl amateur champion taking a two stroke lead into the final round of the Western Australian Open championship. A dual National Trial winner after claiming last week’s Keperra Bowl in Brisbane and the Lake Macquarie Amateur in 2011, Watt carded a 6-under-par, 66, to be at 12-under-par following earlier rounds of 70-68. Another promising amateur, Oliver Goss, is behind Watt in a tie for second position at 10-under along with Scott Strange and Ashley Hall. Watt’s third round 66 equals the new course record at Royal Perth after Goss posted the same number during Friday’s second round and Nathan Holman also fired a 66 in the third round. All three amateurs currently hold the course record. “I played really well on the front nine, I was 5-under through eight and that really set it up,” said Watt who is playing in his fourth Wester Australian Open. A six-time WA State Team member, Watt is also the State Sand Greens Champion, City of Perth Amateur Champion and runner-up State Amateur Champion. The win last week in Brisbane certainly the confidence booster he needed as he goes in search of his first Australasian Tour win. Brett Rumford and Rick Kulacz won the Western Australian Open as amateurs, a feat Watt will be striving to do in tomorrow’s final round. “Last week was good preparation, I was in contention and I closed it out with a 6-under as well so I’ll be thinking about drawing from that experience,” said Watt about how he will approach the final round. Rookie professionals Daniel Nisbet and Matt Stieger also are having a fine tournament in Perth. Nisbet, playing in his first event as a professional and fresh from a victory last week at First Stage of the PGA Tour Q-School at Lantana Golf Club in Texas, is currently in a tie for 17th position at 5-under. Stieger turned professional following the World Amateur Championships in Turkey earlier in the month and has made three from three cuts in all professional events he’s played. 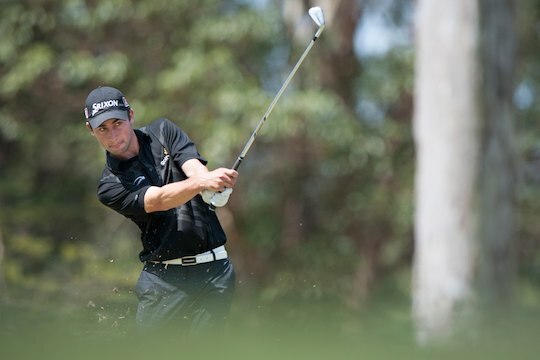 The 2011 Australian Amateur champion is currently in a tie for 43rd position at even par.